Join us for the Original Goat Yoga experience! It's part yoga, part animal assisted therapy. 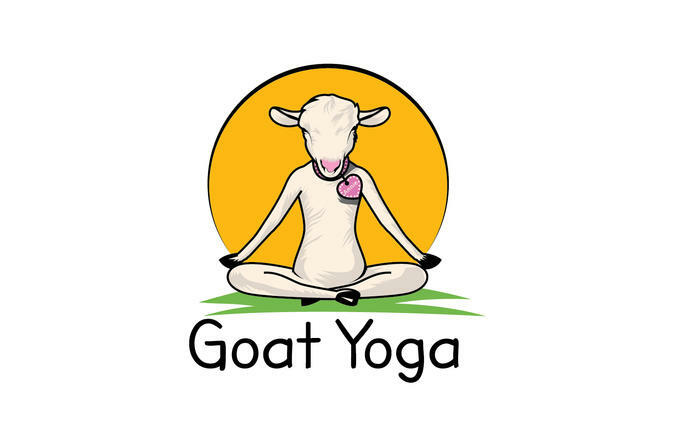 Goat Yoga is about disconnecting from day to day stress, illness or depression and focusing on happy vibes! Come meet our new baby goat family! If you're traveling to Portland THIS is your bucket list experience! We start off with 30 minutes of Goat Yoga followed by Goat Happy Hour. This is humans doing yoga while our mini goats wander around snuggling participants, climbing in your laps for a quick nap or jumping on top of you. The experience lasts a total of 90 minutes. Our Oregon City location is conveniently located to the Portland Metro area and just 20 minutes from Portland Airport. We supply the yoga mats and we ask that you bring your phone for pictures and wear something comfortable. Once you register you do not need to bring your paper ticket. We will have your registered. There is UBER and LYFT available to/from this location.